Tokyo -- The Fia Institute and Toyota Motor Corporation (TMC) have combined technology and expertise to help improve safety in high-speed racecar accidents. TMC announced today on its website http://www.toyota-media.com that it has developed a computer simulation which recreates high speed accidents and their effects on human physiology. Using the new system called Total Human Model Safety (THUMS), the FIA Institute and TMC have been able to study the kind of serious injuries that are difficult to measure with conventional crash-test dummies. The results of the new study are in the process of completion. The FIA Institute targeted this technology specifically to help study high speed rear impact crashes in the FIA Formula One World Championship and Indy Racing League (IRL). The THUMS technology has proved a very effective system in analyzing the complex interaction between the driver's body and the car in a high speed accident. 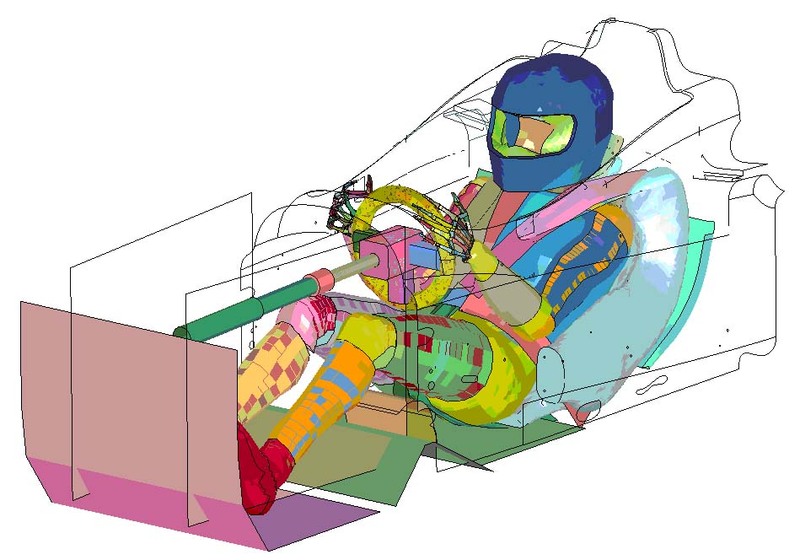 The FIA Institute and Dr Terry Trammell, a fellow of the FIA Institute and consultant to IRL, have provided TMC with data on such accidents and information on racecar seat structures. TMC has been using the data and information to carry out virtual collisions using THUMS and to simulated racecar seat designs, which have succeeded in replicating spinal injuries from high-speed rear impact collisions. This cooperative effort has led to a determination of the mechanism for spinal-stress buildup -- the result of a combination of g-forces and the unique seating position used in F1 and IRL racecars. The research has prompted considerations for measures to reduce stress on the spine during rear impact collisions. The FIA Institute expects this effort to lead to improved safety for F1, IRL and other single-seater racecar championships. Please refer to the attached caption. The FIA Institute was established in October 2004 by the FIA and the FIA Foundation. It receives an annual grant from the FIA Foundation to fund research projects and other safety-led activities. The aims of the FIA Institute are to encourage the rapid development of new and improved safety technologies, to facilitate ever higher standards of education and training and to campaign to raise awareness of safety issues amongst all of those involved in motor sport. http://www.toyota-media.com is exclusively reserved for media professionals, and contains information on Toyota & Lexus business activities and products, environmental solutions & technology, how to get in touch with us and much more. THUMS : a computer modelTHUMS is a computer model, jointly developed by TMC and Toyota Central R&D Labs, closely modeled on an actual human body and used to simulate injuries that are difficult to measure with crash-test dummies.